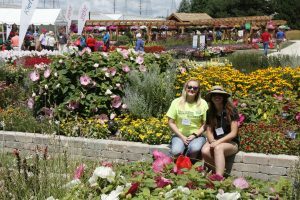 We attended the 2018 Ball Seed Field & Landscape Day this July. 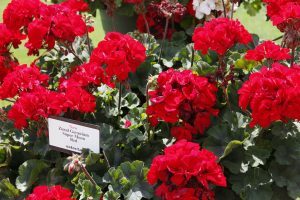 This event is a showcase of new plant varieties from breeders all across the country as well as timeless and reliable plant varieties. We are fortunate to have Ball Seed located right in our back yard. Many attendees traveled from all over the country to attend this one of a kind event. 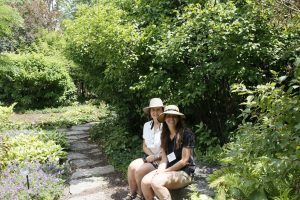 One of the many unique and interesting spaces at this event is the comparison garden. 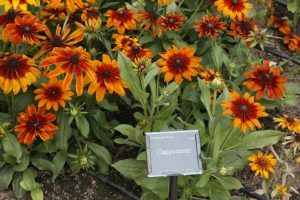 Here a visitor can find several different varieties of the same plant. 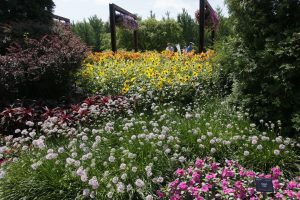 This comparison garden helps professionals study what varieties thrive the best in our specific environment. 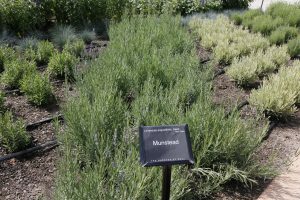 Lavender is a commonly requested plant for the ornamental landscape, however, it is difficult to find a cultivar that grows reliably in our winter climate. 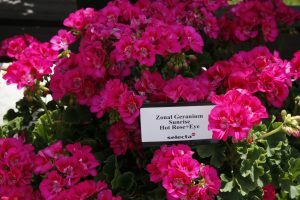 Below is an example of two varieties in the comparison garden that looked to be consistently thriving in our environment and may make great candidates for someone to plant in their landscape. 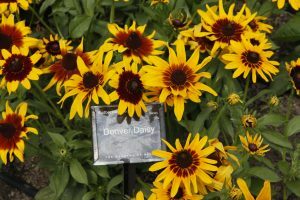 Traditional Black Eyed Susans or Rudbeckia are usually identified by their recognizable bright yellow/orange flowers with a black center in late summer. 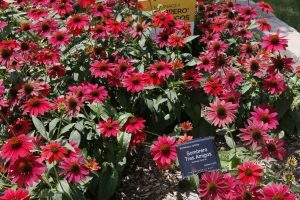 These fun varieties of Rudbeckia put an interesting twist on the traditional look. 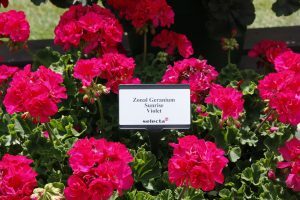 We love zonal geraniums, they have beautiful flowers that bloom all summer long and provide amazing color to any landscape. 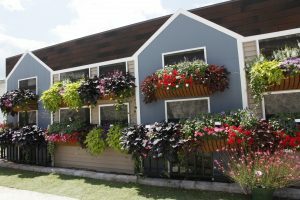 We are always exploring new color combinations for an original look each year. These new colors will be so fun to try next season. 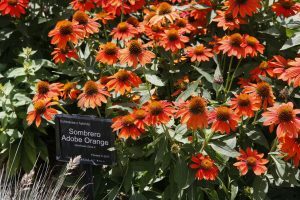 If you love color and want to have native plants in your landscape, Coneflowers are an excellent option. 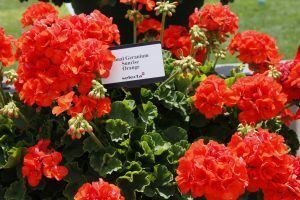 We found some amazing new varieties that will give you a true pop of color in your landscape. 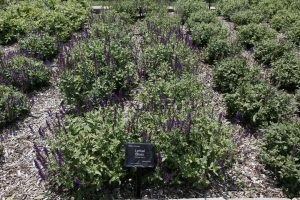 Salvia is a perennial that has been around for decades. 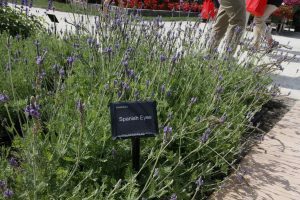 Many people may know if from their grandma’s garden. 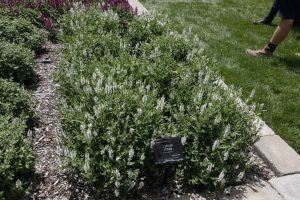 This perennial has been improved each year. 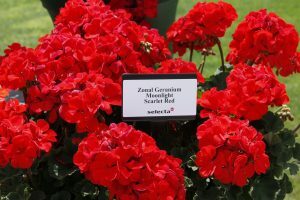 Shown below are wonderful compact varieties and even a white flowering variety. 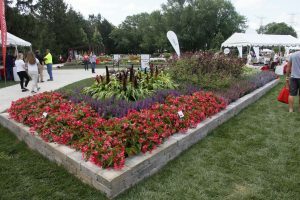 These planting beds are also great examples of layering with shrubs, perennials, and annuals for constant color and texture. 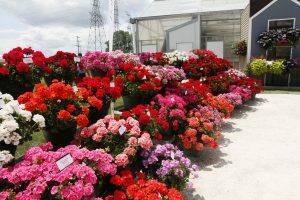 We truly enjoyed spending the day at Ball Seed. 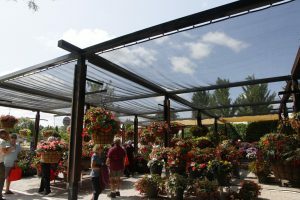 We feel inspired and are so excited to work with new plants and combinations!